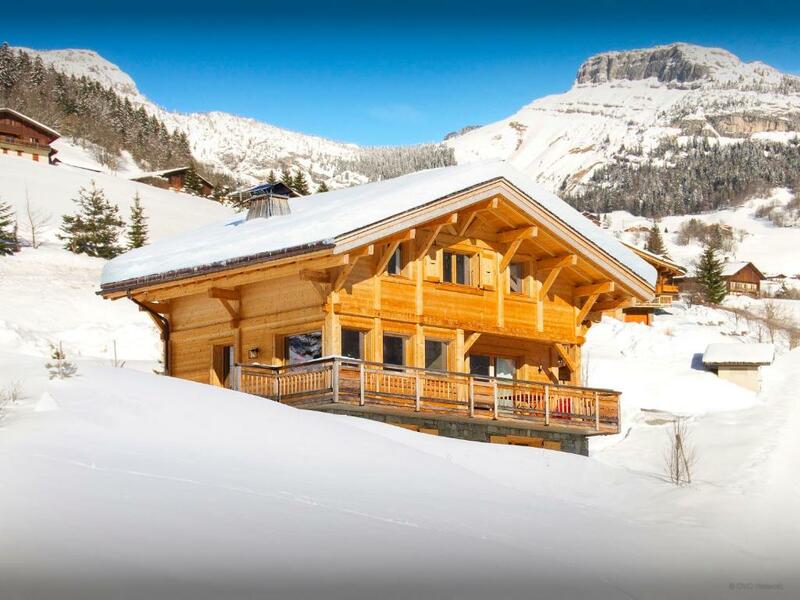 Set 1.2 mi from the Chinaillon Ski Slopes and 500 feet from the ski bus stop, Chalet Le Charmieux offers accommodations in Le Grand-Bornand. Guests benefit from terrace and a barbecue. Free WiFi is provided throughout the property and free private parking is available on site. A dishwasher, an oven and a microwave can be found in the kitchen and there are 3 bathrooms. Towels and bed linen are featured at Chalet Le Charmieux. Le Grand-Bornand is 2.1 mi from the property, while La Clusaz is 5.9 mi away. Geneva Airport is 42 mi from the property. 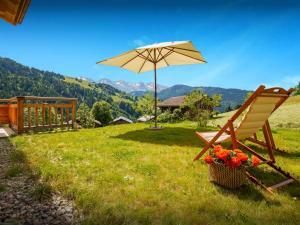 When would you like to stay at Chalet Le Charmieux - OVO Network? 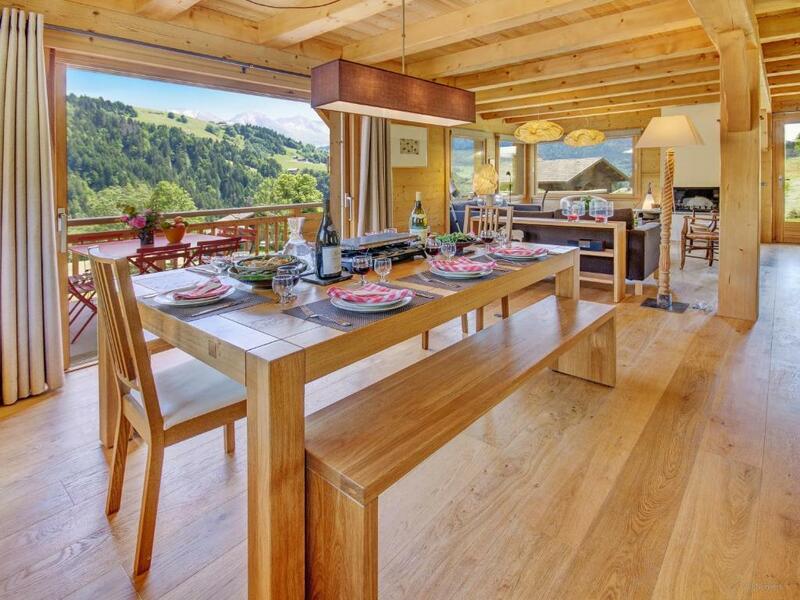 This chalet has a balcony, fireplace and patio. 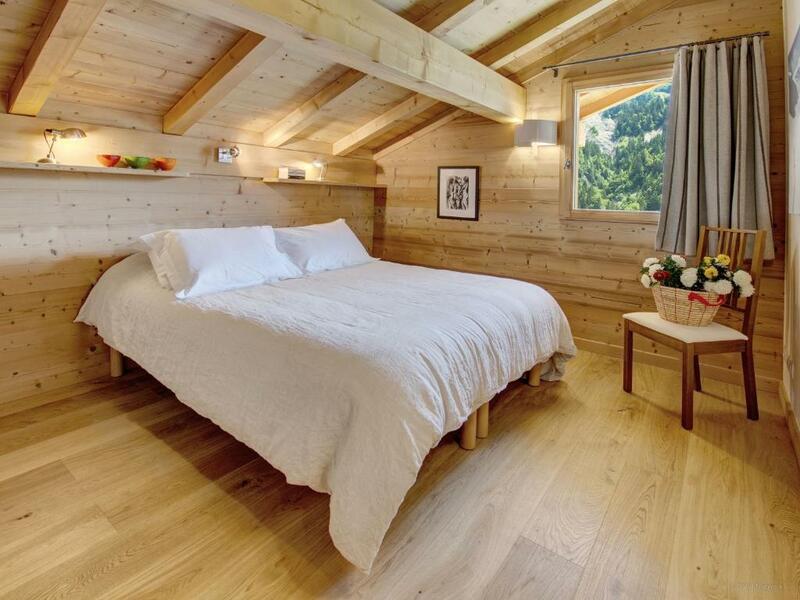 Modern convenience in traditional Alpine style ... High above the beautiful village of Le Grand Bornand, the four-star Chalet Le Charmieux is a great choice for an Alpine holiday, whatever the time of year. With panoramic views of the surrounding mountains, it's just 2km from the ski slopes and shops, and the shuttle bus stops just 150m from the door so you'll have no problem getting around. The chalet is between Le Grand Bornand and the village of Chinaillon, so you'll have plenty of choice when it comes to shops, bars and restaurants. 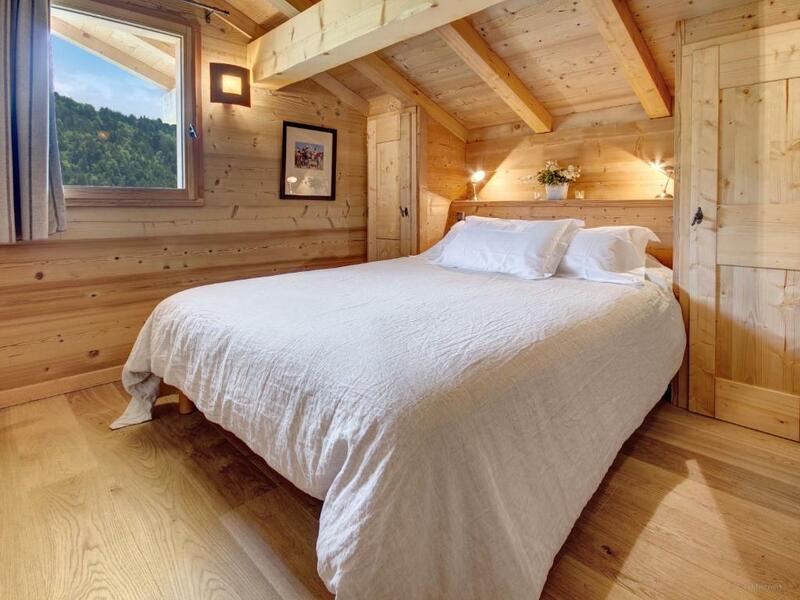 Although it is built in traditional style, this is a contemporary chalet which offers the best of modern comforts and everything you need for a care-free stay in the French Alps. 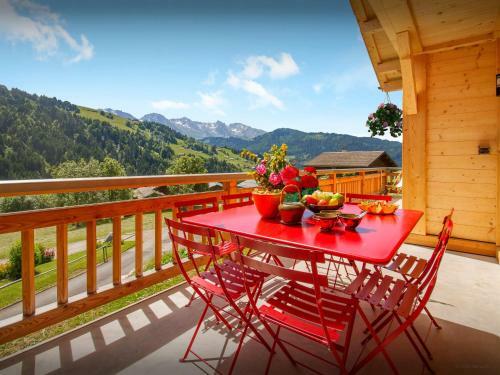 Bright comfortable chalet designed to meet all your holiday needs ... Built over three floors, this sunny west-facing chalet has plenty of room for 12 people (maximum eight adults). The ground floor is dedicated to younger visitors - there's a bedroom with two sets of bunk beds as well as a home cinema and games room, a shower room and a toilet. There's also a laundry and storage room on this level. We are originally from Lyon and Le Charmieux is our family chalet. I am a widower with three children and eight grandchildren - all wonderful of course! Bertrand lives in Paris, Charlotte in Hong-Kong and Audrey is in Versailles. We chose the Aravis area because it is close to Lyon, easy to reach by TGV via Annemasse or Annecy and by air via Geneva. Also in its favour is the skiing in winter, and the walks and golf in summer, as well as swimming in the nearby lakes and all the activities organised by the village of Le Grand Bornand, especially for children. Megeve, Chamonix and Switzerland are also very close. We chose the site of the chalet for its magnificent views of the mountains and neighbouring chalets, and its sunny south-facing position. It is close to the village and the ski slopes, which can be reached by ski bus. 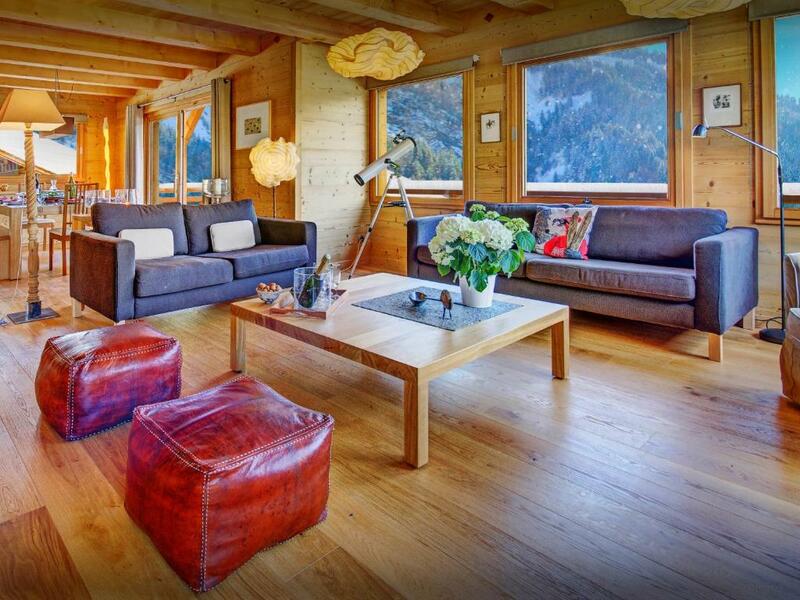 As for the chalet, we wanted to make it simple and comfortable, and the many windows mean it is flooded with light. When we built it we had the beauty of the natural environment in mind. We hope you will be as happy there as we are and wish you a wonderful holiday in our chalet. With more than 220km of pistes, explore varied terrain ... 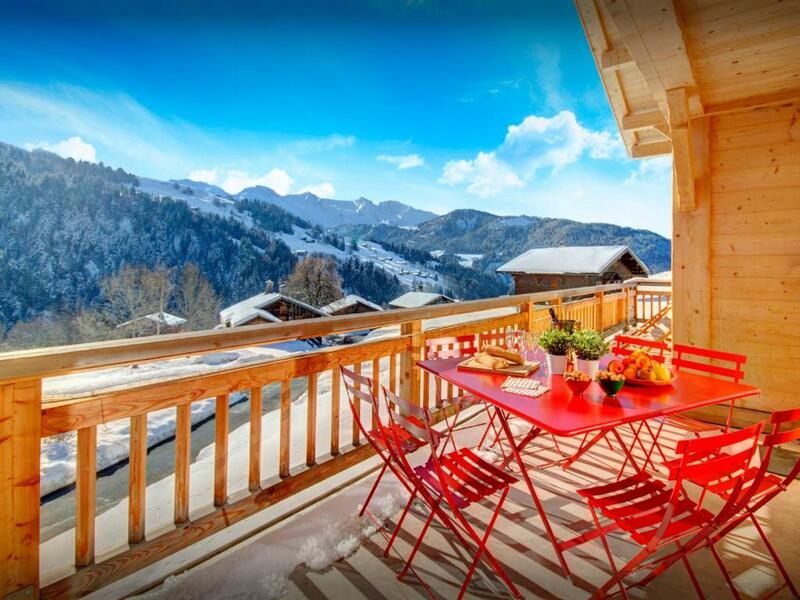 Ideally located between Le Grand Bornand and Chinaillon, and with the ski bus stopping just 150m from your chalet, you'll have plenty of choice of where to ski. An Aravis ski pass gives you access to 220km of well-groomed pistes covering these two resorts as well as La Clusaz and Manigod, which are all served by the bus network, so skiers and boarders of all abilities are well catered for. Boarders will also find plenty of challenge at Le Grand Bornand's snowpark, which is rated amongst the top five in France. Any non-skiers in your party will find plenty to do - try snowshoeing, ice-skating, horse-drawn carriage rides, paragliding, swimming or pamper yourself at one of the area's spas. Le Grand Bornand boasts Famille Plus status, thanks to its great programme of activities for younger visitors, making it the perfect choice for family holidays. 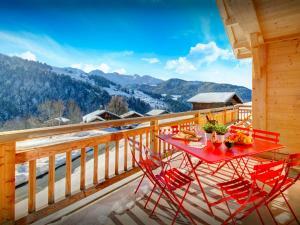 House Rules Chalet Le Charmieux - OVO Network takes special requests – add in the next step! Chalet Le Charmieux - OVO Network accepts these cards and reserves the right to temporarily hold an amount prior to arrival. Please inform Chalet Le Charmieux - OVO Network of your expected arrival time in advance. You can use the Special Requests box when booking, or contact the property directly using the contact details in your confirmation. A damage deposit of EUR 1500 is required upon arrival – that's about 1686.52USD. This deposit is fully refundable at check-out as long as there's been no damage to the property. We need at least 5 reviews before we can calculate a review score. If you book and review your stay, you can help Chalet Le Charmieux - OVO Network meet this goal.